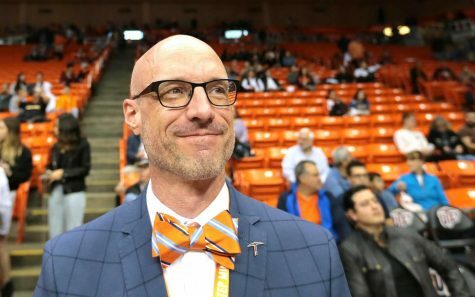 The UTEP men’s basketball team snapped its three-game losing streak defeating the FIU Golden Panthers, 85-75, Saturday night at the Don Haskins Center. 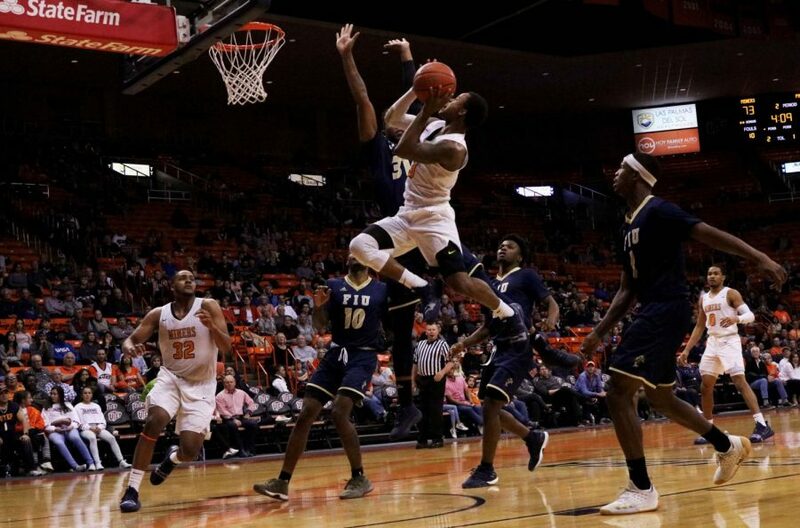 Four Miners would finish in double-digit scoring, freshman guard Nigel Hawkins led the team with a game-high 20 points on 7-11 shooting from the field. Senior forward Paul Thomas added a near double-double performance with 16 points and nine rebounds. Sophomore guard Evan Gilyard chipped in 16 points off the bench and freshman guard Jordan Lathon added 16 points. FIU jumped out the gate early on coming out to an early eight-point lead before Lathon nailed the first field goal for the Miners with his first of three 3-pointers in the first half. 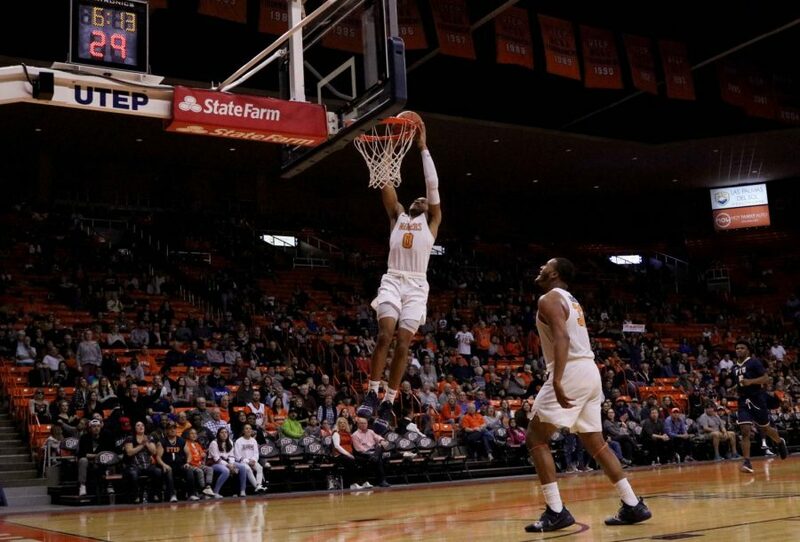 After starting the game being down by 12 points UTEP answered back by going on a 20-4 run to close out the first half. What got the run going was when Thomas found a cutting Hawkinand hit him with a backdoor bounce pass as Hawkins slammed it home cutting the Panther’s lead to 10 and getting the crowd back into the game. After a couple of free throws, Lathon would score five points to tie the game up at 29. Freshman forward Efe Odigie gave the Miners their first lead of the game after the freshman used the glass for two points. UTEP would score six more points to head into the halftime with a four-point lead. Sophomore guard Evan Gilyard scored 16 points against FIU at the Don Haskins Center. In the second half, after scoring two points in the first, Thomas would erupt for 14 second-half points. The senior would get the Miners on the board when he drained a corner 3. Thomas would drain another 3 as part of an 8-0 run that saw the Miners extend the lead to 10. The run was capped off at 11-0 after Lathon drained his fourth 3 of the evening. UTEP would jump out to a 16 point lead in the second half. FIU would cut into the Miners lead down to single digits three separate times the first came at the 9:52 mark. The second came with 7:14 when FIU cut the UTEP lead down to eight. The third time FIU cut the Miner lead to single digits was with 4:45 left in regulation. The Panthers cut the Miners lead down to six but were unable to do much after that. As UTEP was able to hang on to their 10 point lead. The UTEP defense held FIU to 39 percent from the field. FIU’s senior guard Brian Bead Jr. came into the contest averaging nearly 18 points and six assists, UTEP was able to hold him to four points and five assists before the senior guard fouled out. UTEP held FIU to shoot 29 percent from behind the arc. UTEP outrebounded FIU, 46-28. Odigie led the team with a team-high 15 rebounds. Lathon before fouling out was 4-for-4 from behind the arc and shot 6-for-7 from the field. UTEP will go on the road for its next two games before starting C-USA group play with games against La Tech and Southern Miss. 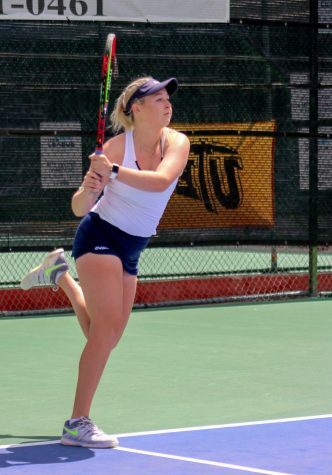 UTEP is still in search of its first road win of the season.